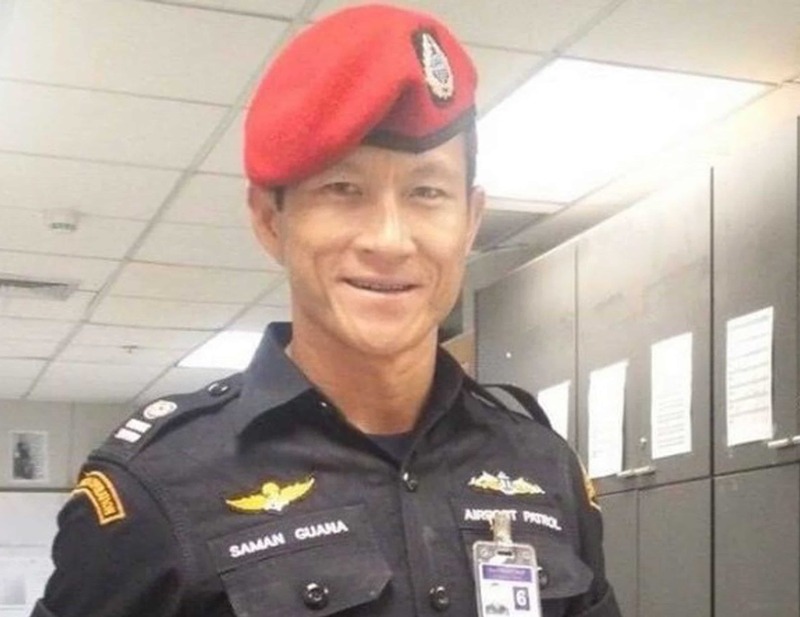 Our thoughts are with the family of Thai diver Saman Gunan who died as a true hero attempting to rescue the trapped schoolboys in the cave system in Thailand. (Please, if you are able, click the box above to be taken to the Just Giving page. The RNCDA are in communication with the Thai Navy and will ensure that ALL funds raised reach his family). A former Thai Navy diver died while taking part in efforts to rescue 12 boys and their football coach, trapped in a flooded cave in Thailand. Petty Officer Saman Gunan lost consciousness on his way out of the Tham Luang cave complex, where he had been delivering air cylinders. The death of Saman Kunan, 38, a volunteer and former Thai Navy Seal, came as a cruel jolt to the tireless efforts of divers, engineers and caving experts who have been working furiously to extract the children aged 11-16; and their coach, 25, since they were found sheltering in a muddy chamber. His job was to deliver oxygen. He did not have enough on his way back. He had started his dive shortly after 8.30pm and his diving buddy tried in vain to revive him in an underground cavern after he passed out. He was declared dead at 1am in “Chamber 3”; a staging area for the rescue operation. The volunteers who carried out this task are both poorly paid and gave their own time, with no thought of their own safety to help others. With this in mind, the Royal Navy Clearance Divers Association is collecting funds, to enable us to give a financial donation to the family of this downed fellow diver; to help them in what must be the most difficult of times.